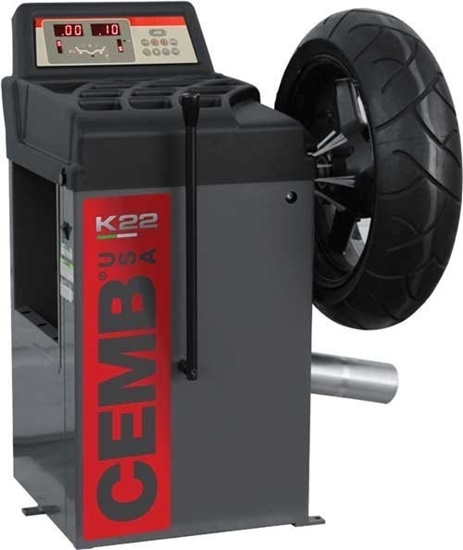 CEMB K22 Computerized Motorcycle Wheel Balancer - Specifically Designed for Motorcycles! 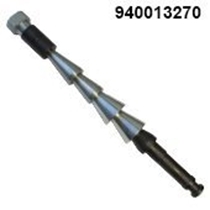 Solid shaft for Harley Davidson. Fits 3/4" and 1" axle. The K22 motorcycle wheel balancer has a fixed shaft, enabling the wheel to rotate freely on its own bearings. 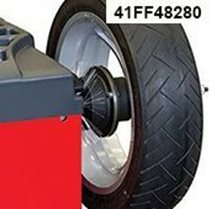 This simulates the assembly of the wheel on the motorcycle and eliminates all the assembly inaccuracies which are inevitable with traditional balancing machines for car wheels, where the adapter is put in rotation with the wheel. Rim Diameter Capacity: 10" - 30"
Rim Width Capacity: 1.5" - 20"
Harley Davidson Kit -Solid shaft for Harley Davidson. Fits 3/4" and 1" axle.